for $349,900 with 4 bedrooms and 3 full baths. This 2,367 square foot home was built in 1996 on a lot size of 0.3214 Acre(s). Immaculate House Beautiful two story home with 4 bedrooms, 3 baths, new floor coverings, paint, light fixtures, furnace and more. 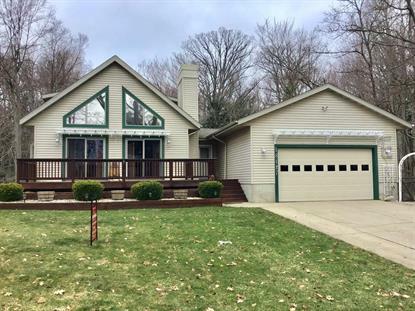 Vaulted ceilings and a cozy living room with fireplace, large windows and sliders to the large deck. The kitchen features granite counters, generScreened in porch for entertaining. The Walk out features a huge family room with wood burner, bedroom and full bath, and utility room. Sliders to the large private back yard and fire pit. The underground sprinkling has been upgraded. Updated stainless steel appliances. New Clerestory windows. Tour this home now! Open this Saturday, April 20, 2019 from 12:00 to 2:00 pm.